Responding to Royal Mail’s annual results, released today (Thursday), the CWU described them as a decent set of results for this year, whilst calling on the company to work harder at delivering growth. “The results produced by Royal Mail today are decent, and show Royal Mail can go forward in good shape. “These results have been delivered by improving productivity and the hard of work of postal workers. Those workers have shown they have supported the need to change to build growth in the business. “However, we also recognise the note of caution that that there remains a structural decline in the letters market of 4 per cent. Therefore, the union again calls on the regulator Ofcom, to recognise this clear fact and to stop blindly increasing the competition in the sector. “The recent announcement by Whistl that they have discontinued their delivery operation is a clear sign of the overcrowded postal market; and jobs will continue to be lost if the regulator fails to change its approach. “Ofcom’s approach to competition is a continuous threat to jobs, as well as to terms and conditions as they push for a race to the bottom. The ferocious price war in the overcrowded parcel-delivery sector promises cheap prices and speedy deliveries this Christmas, Royal Mail has said. 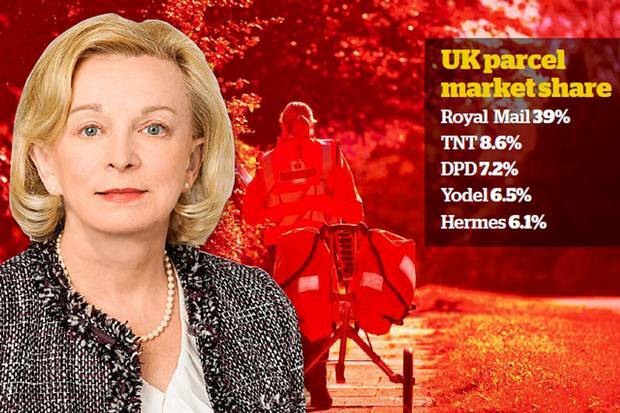 Royal Mail chief executive Moya Greene said her competitors, including DPD, Yodel and Hermes, had all added capacity, despite the collapse of City Link last Christmas and Whistl’s decision earlier this month to pull out of doorstep deliveries in three UK cities. 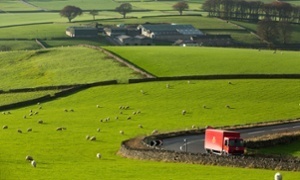 Royal Mail, which pitched its privatisation in October 2013 on the expected growth in the parcels market, said that Amazon’s decision to launch its own courier network was taking away much of the market growth that the former state-owned postal operator had anticipated. A Post Office manager who stole more than £100,000 from her work, a charity and an elderly friend has been jailed for more than three years. Sub-post office boss Carol Oswald, 53, from Perth, spent the money on internet betting and claimed she was trying to win money to pay the business back. She also stole more than £8,000 from the elderly post office owner and embezzled about £2,300 from a charity. She had worked at Letham Post Office since the 1980s. 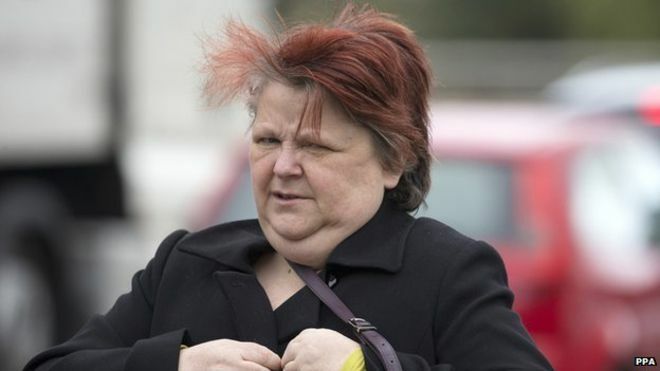 Perth Sheriff Court heard that as well as stealing directly from 81-year-old Jean Johnson, Oswald also left the pensioner liable for the £100,000 she had embezzled from the branch. Postal workers are helping to stop low-level crime by reporting suspicious incidents they see on their rounds under a trial scheme. More than 130 Royal Mail staff making deliveries in and around Winchester are taking part in the pilot run with Hampshire constabulary and the localNeighbourhood Watch. Thefts and trespassing have already been spotted by the local postal workers and the scheme may be widened if the experiment proves successful. Staff have been encouraged to act on their own initiative if they see anything unusual, as well as being asked to keep their eyes peeled in the wake of burglaries or other incidents along their rounds.